Photo: Courtesy of Crunchy Radish. Miranda Hammer — a clinical dietician, nutritional nerd, and founder of Crunchy Radish — is constantly in pursuit of the most wholesome foods out there. Ahead, she shares some of her must-know feel-good recipes. Are you a mindless snacker, constantly popping food into your mouth while you type away or sit on Netflix? Sure, snacking can add a substantial amount of calories to your daily intake, but it can also boost your energy and keep your metabolism functioning at an optimal speed. Most individuals should aim to eat three balanced meals daily with two snacks — one mid-morning and one mid-afternoon. Ideally, you don't want to go more than three to four hours without fueling your body. Going long periods of time without sustenance will not only make you hangry, but could lead to overeating at your next meal. While some people believe you should have a regimented schedule for when you eat, if you're not hungry, I don't believe you need to force to stay on schedule. Having a more sedentary day or had a large lunch? If you're still full by your normal snack time, skip it. Focus on your hunger cues; learn to truly gauge if you are actually hungry and truly need a snack. Want to optimize your workout? The intensity of your workout determines whether or not you need more fuel. Completing a mellow yoga or Pilates class typically won't require an energy booster, but a high-intensity spin class or circuit training would. Aim to have a snack that's a combo of protein and carbohydrate an hour before your workout. Potassium is lost in sweat, so optimizing your intake with a potassium-rich banana and nut butter is ideal to replace your losses. If you find yourself constantly munching on whatever's available, then be sure that you only have the healthiest of options around you. Keep cut vegetables, fresh fruit, and reduced-fat yogurt on hand, so when you need to snack, you only have healthful choices. Of course, if you're really craving something sweet, go for the cookie — just don't overdo it or make it a daily habit. Skip the chips and opt for air popped popcorn that tastes like nachos! 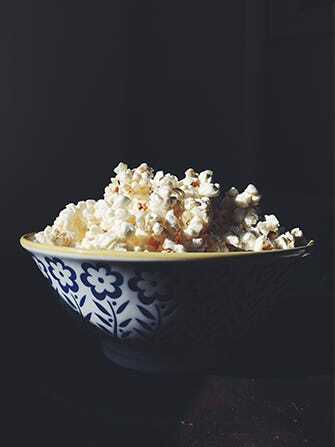 Popcorn is loaded with beneficial fiber that satiates and keeps you full. Air-pop popcorn. Mix spices together. Pour coconut oil or butter on popped popcorn. Sprinkle popcorn with spice mix. Toss to coat. 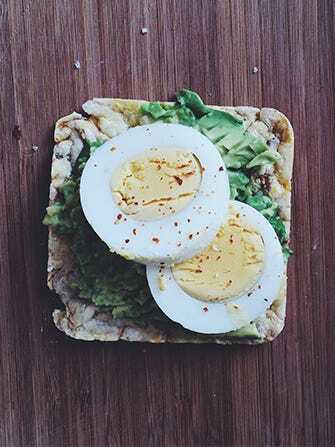 Take avocado toast to the next level with a protein-rich hard-boiled egg. Mash avocado on rice cake, top with slices of egg and a pinch of sea salt and chili flakes. 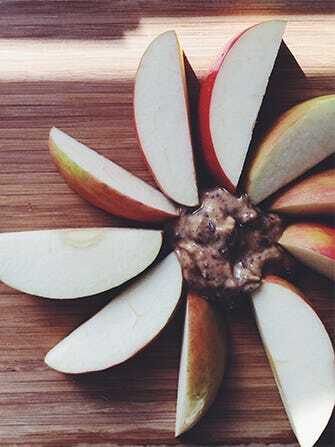 The quintessential fruit and nut combo-spiced up with a antioxidant-rich cinnamon. Tired of hummus? 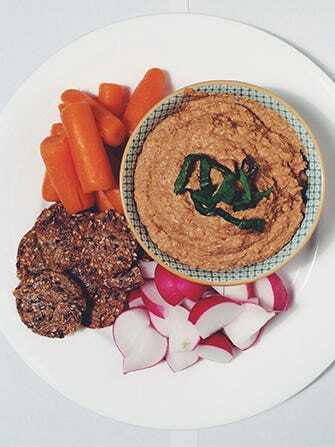 Try this lentil and red pepper dip with crudités, a perfect balance of fiber, protein, and carbohydrate. Using a food processor, add garlic to mince. Toss in the rest of the ingredients and process until smooth. Taste for seasoning and serve chilled or at room temperature with vegetables and/or whole grain crackers. Replete your potassium stores from working out by eating a potassium-rich banana. Distribute the nut butter on each banana. 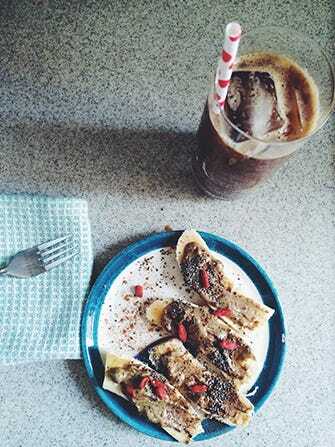 Top with goji berries, chia seeds, and cinnamon.